A satirical first-person account of the live of Ivan Vejeeghen (commonly spelled Vyzhigin), a Russian orphan peasant growing up in the early 19th century. 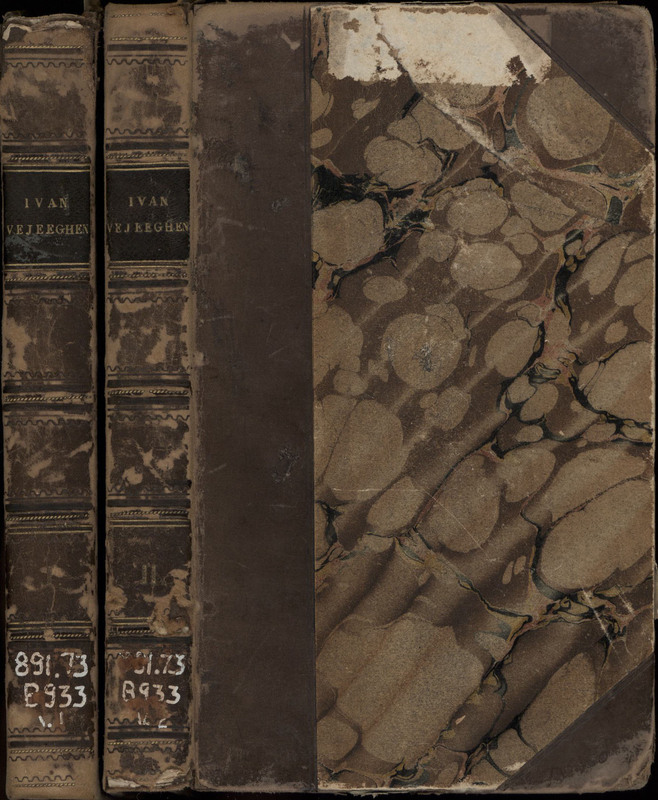 The novel is considered to be the first Russian best-seller, quickly outselling in Russia the works of other more literary writers of the time, such as the great poet Alexander Pushkin.It was also translated into several different languages, and became one of the first well known works of Russian literature to be read in the West. 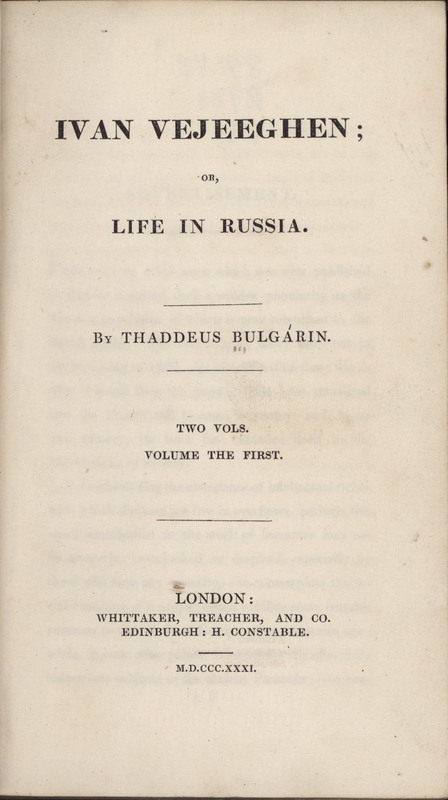 The author, Faddey Bulgarin, was not taken seriously by many of his colleagues, including Pushkin, but the novel inspired parodies of its format, which were also rather popular among readers at the time. London: Whitaker, Treacher, and Co.; Edinburgh : H. Constable, 1831.